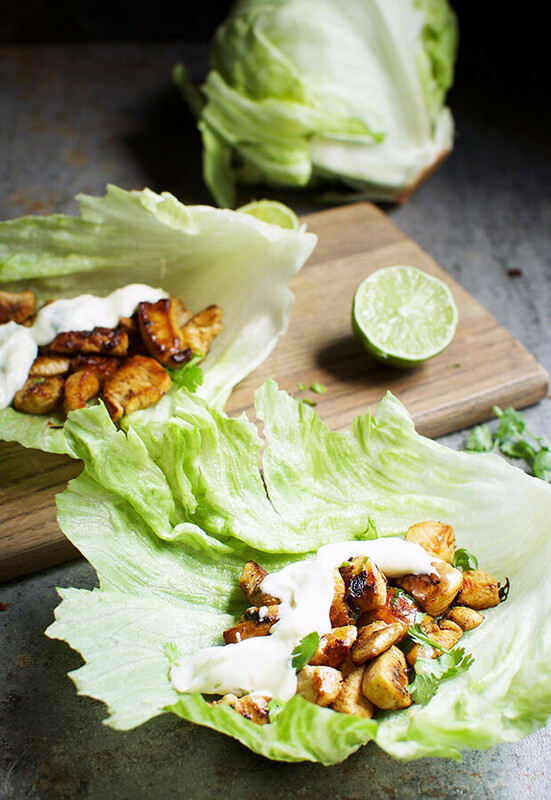 These chili lime chicken lettuce wraps are packed with bright citrus flavors and a little bit of heat. Nestled in lettuce, these zesty sautéed chicken bites are topped with a creamy lime aioli. While these taste like a gourmet meal, they couldn’t be simpler to make at home. These lettuce wraps are the perfect choice for a busy weeknight dinner! 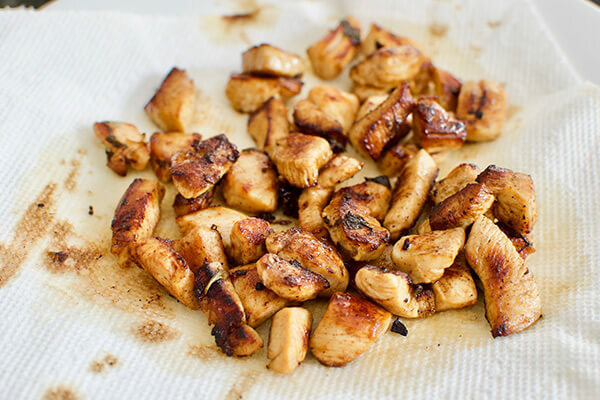 When looking for a quick and flavorful dinner, marinated chicken is one of my go-to options. Marinades provide maximum flavor for minimum effort. 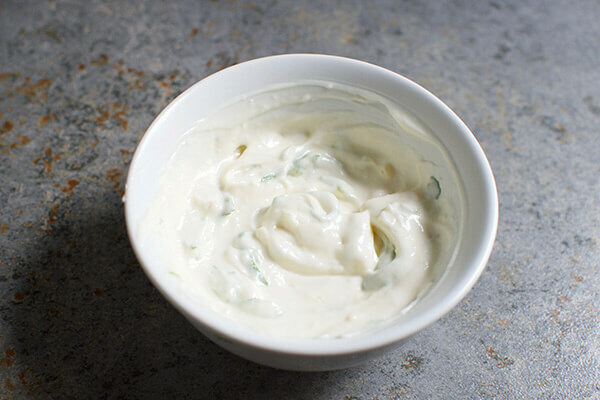 This marinade can be put together in just a few minutes and then all you have to do is let it sit in the fridge and soak up all the delicious flavors. The longer you let the chicken marinade, the more the flavor will pop in this dish. You can even start marinating the chicken before heading off to work in the morning to give plenty of time for the marinade to work its magic. Once marinated, the chicken only takes a few minutes to cook! In this recipe, just about any type of large-leafed lettuce can be used for the lettuce wrap. I personally prefer to use iceberg lettuce because the leaves are quite large and flexible. That being said, it can take some finesse to remove the leaves from the head. In that regard, butter lettuce or romaine can be an easier option. Delicious dinners don’t have to be complicated. These chili lime chicken lettuce wraps are an easy and flavorful main dish that everyone will enjoy! 1. 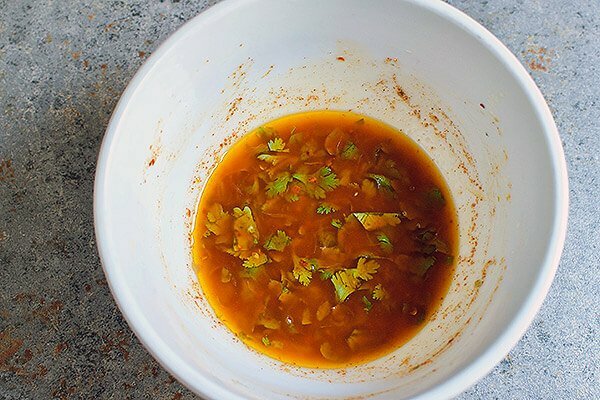 In a small bowl, combine all marinade ingredients and mix until they are evenly incorporated. 2. 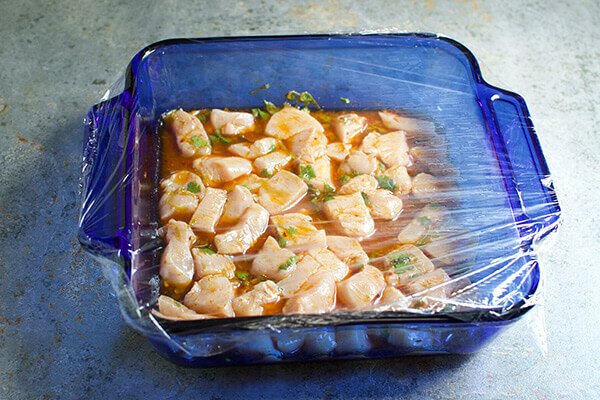 Transfer pieces of chicken breast into a dish for marinating. 3. Pour the prepared marinade over the chicken and then stir to ensure that all sides of the chicken are coated. 4. Cover the dish and then place in fridge to marinate for 1-2 hours. 1. In a large saucepan, melt butter over low heat. Once the butter has melted, increase heat to medium-high. 2. Add marinated chicken, leaving space in between each piece. If needed, the chicken can be cooked in several batches. Allow the chicken pieces to brown before turning. 3. 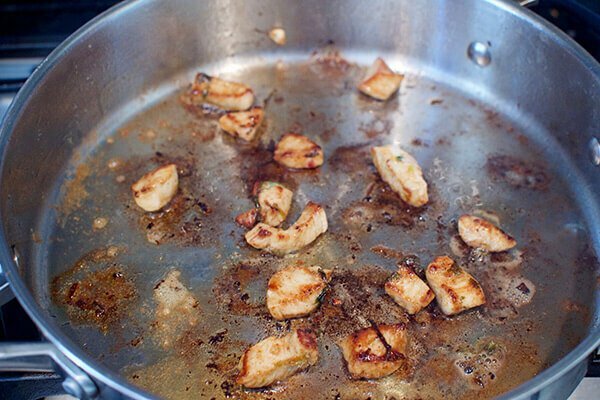 Once the chicken has browned on all sides, transfer meat to a plate lined with a paper towel to soak up excess oil. 1. In a small bowl, add all ingredients and stir until combined. 1. 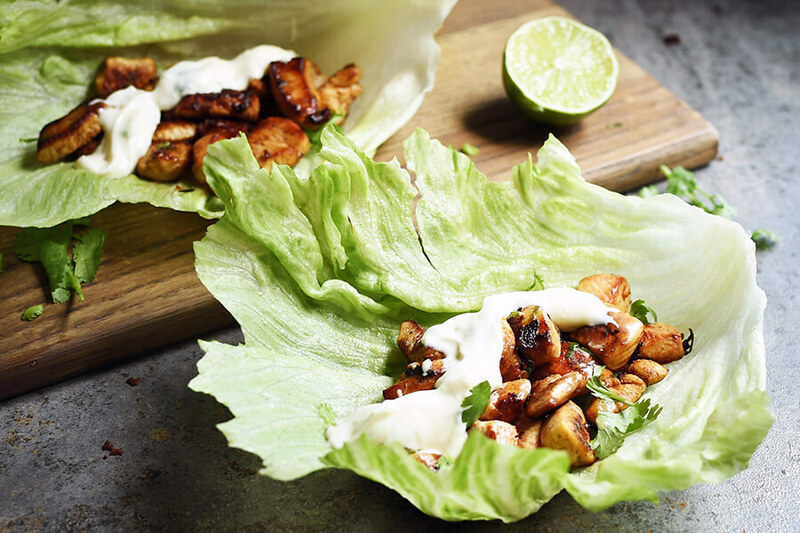 To assemble the lettuce wraps, evenly distribute the sautéed chili lime chicken onto each of the lettuce leaves. Next, spoon on the desired amount of aioli onto each lettuce wrap and serve. This makes a total of 3 Chili Lime Chicken Lettuce Wraps. Each wrap comes out to be 336.2 calories, 27.2g fats, 1.9g net carbs, and 17.9g protein. 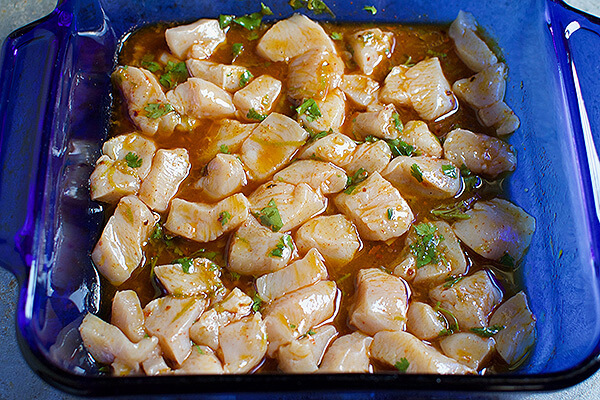 In a small bowl, combine all marinade ingredients and mix until they are evenly incorporated. 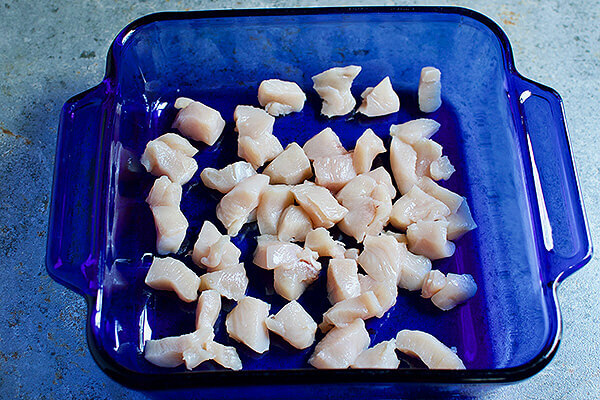 Transfer pieces of chicken breast into a dish for marinating. Pour the prepared marinade over the chicken and then stir to ensure that all sides of the chicken are coated. Cover the dish and then place in fridge to marinate for 1-2 hours. In a large saucepan, melt butter over low heat. 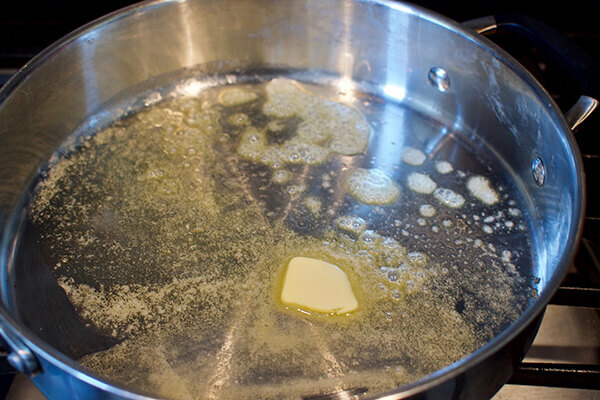 Once the butter has melted, increase heat to medium-high. Add marinated chicken, leaving space in between each piece. If needed, the chicken can be cooked in several batches. Allow the chicken pieces to brown before turning. Once the chicken has browned on all sides, transfer meat to a plate lined with a paper towel to soak up excess oil. In a small bowl, add all ingredients and stir until combined. 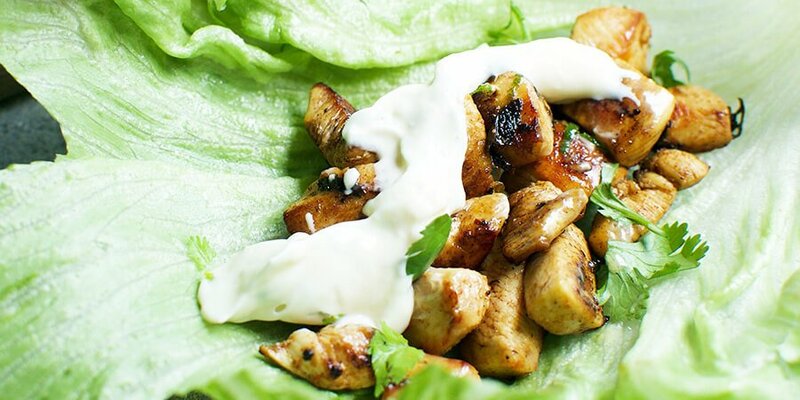 To assemble the lettuce wraps, evenly distribute the sautéed chili lime chicken onto each of the lettuce leaves. Next, spoon on the desired amount of aioli onto each lettuce wrap and serve.